How the Better Business Bureau’s Auto Line Program Works | The Consumer Law Group, P.C. Will using the Better Business Bureau’s Auto Line program resolve my Lemon Law claim? If you purchased or leased a new car in Virginia and discovered that it had significant problems that needed to be repaired, you may qualify for a replacement of the vehicle or refund of the purchase or lease price under Virginia’s Lemon Law. One option available to you to remedy the situation is to use the Better Business Bureau’s (BBB) Auto Line dispute resolution program. How Does Auto Line Work? Contact the BBB and give them your name and address; the Vehicle Identification Number (VIN) of the vehicle in question; the make, model, and year of the vehicle; and a brief description of the problem. You will be notified when the information has been received. You may be asked for additional information such as Customer Claim Form or a copy of the vehicle’s registration. The BBB will notify the manufacturer of your claim and begin an investigation. You may be contacted by a representative of the manufacturer to discuss a settlement. You may work directly with the manufacturer or you may request a Dispute Resolution Specialist from the BBB. 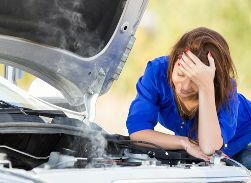 It is important to know what remedy you are entitled to under Virginia's Lemon Law or other statutes in order to determine if the decision of the BBB's arbitration should be accepted. Contact us to help you learn your legal rights before deciding whether to accept the BBB's decision. If you are not happy with the settlement offer, you may proceed to arbitration. During this process, you may be asked to provide service and repair records, copies of correspondence with dealers, agents, or representatives, photographs or other evidence of the problem—in other words, you will have to prepare a case. If at any point you are not happy with the way things are going, you are free to stop the process. In some cases, consumers are offered a fair settlement at step 4 and the case is resolved. If this does not happen for you, you should consider contacting an attorney rather than pursuing the case on your own through the BBB. If your claim is not quickly resolved by the Auto Line program, you will probably need the help of an experienced Lemon Law attorney. Under Virginia law, the manufacturer is responsible for all court costs and legal fees, including paying the claimant’s attorney, so you will not have to pay for our services out of your own pocket. If you believe you have a lemon, start with the BBB. If that does not easily settle your dispute, call the Consumer Law Group at 804-282-7900. We can take it from there.